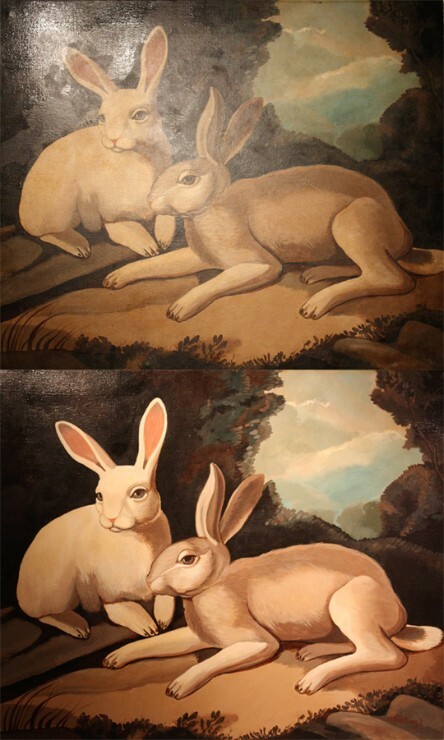 Oil painting from 1903 with discoloredvarnish removal before, during, & after. 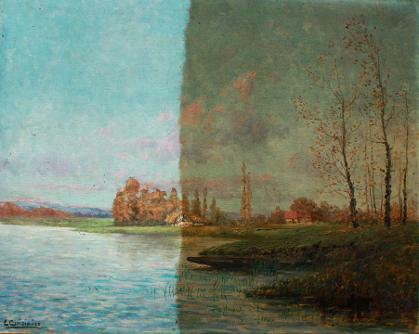 Barbizon school oil painting signed "E. Cuisinier" c. 1850s during removal of discolored varnish. Oil painting on canvas c. 1920s, signed Skilling. Linoxyn build up of linseed oil-rich oxidized varnish, varnish flaking & cracking off of paint composition surface, discolored paint pigments, uneven varnish sheen. Linoxyn removal, varnish removal, addition of new varnish. 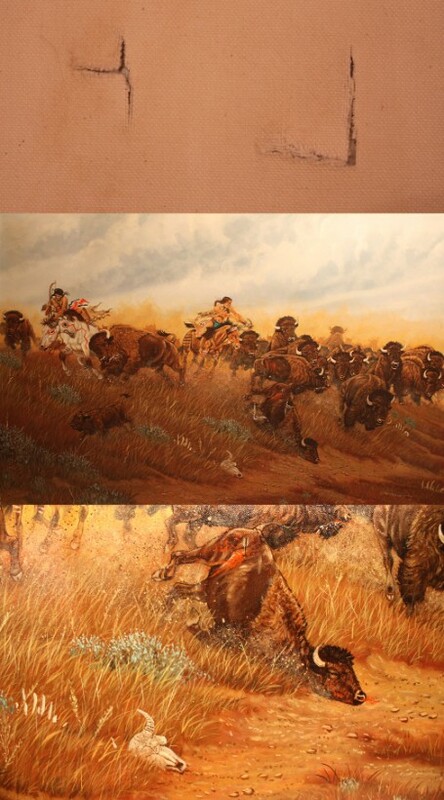 Acrylic painting on canvas of Native American hunting scene, painted & signed by Marchand of the Colville, Washington Indian tribe. Canvas tears realigned, patched, & filled. Close up of in-painting, newly added varnish. Oval oil painting on canvas c. 1880s, unsigned. Surface dirt, discolored varnish, loss of canvas tension. Spot cleaning in the sky. Regained canvas tension, full cleaning & varnish removal, newly added varnish, secured into original frame.